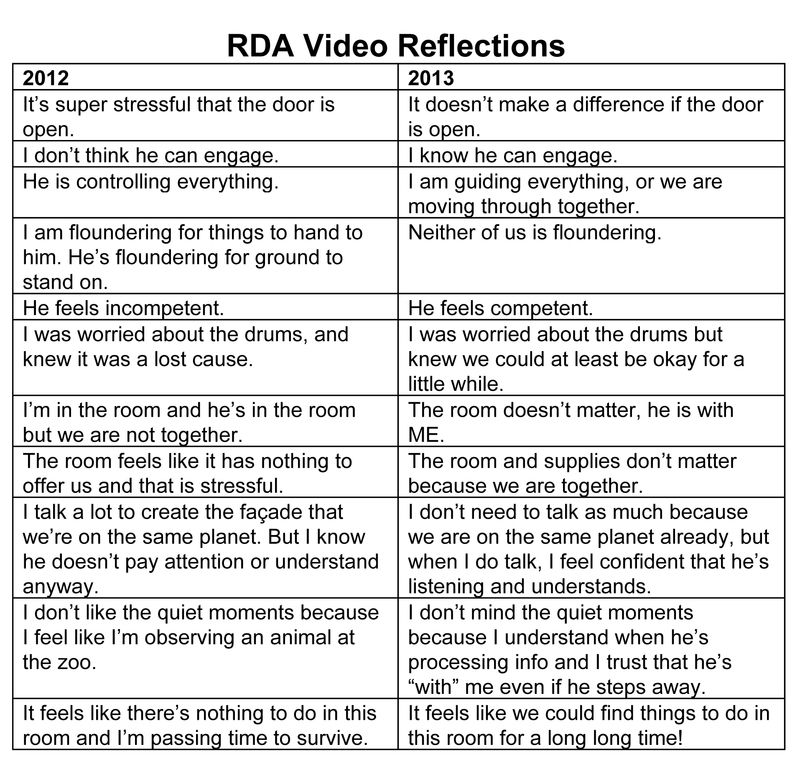 In the RDI Program, one of the first goals is to create space to be present with your child. It seems simple. Most parents of children with Special Needs are with their child a lot. But when you look at it more closely, most of that time is spent doing things for the child. Special Needs children require a lot of assistance. Things that are normally taken for granted may not be developing. The parents are in the position of doing it all. Therapies, diets, IEPs, research. The list is almost endless. The mythical “window of opportunity” lingers as a constant threat in the back of their minds. Not to mention the cost of what their child needs. Money, time, guilt, fear and exhaustion make it pretty hard to actually find time to just be with a child who has Special Needs. It is a recipe for stress. So my advice to create space is a tall order to fill. Sometimes slowing down feels simply impossible. On the other hand, slowing down is absolutely what we all need to do. This world is so filled with possibility, so many options at our fingertips, that it feels like it all needs to be known and done. Slowing down to create space requires prioritization. It means that somethings will have to be eliminated. It means that others may need to be stopped temporarily. It requires that we compromise with doing it all, to doing what we choose well. It requires that the adults take some time for themselves. We all know that ignoring your own needs leads to inevitable burnout. And burned out parents are placing themselves, their marriages and their children at risk. Which is exactly the thing they are trying to avoid. I’ve been working with a wonderful parent for many years now. And through the years, she has taught me so much. In observing her own growth and progress with her child, I believe the most important thing that she has done is finding herself in order to create space with her boy. She really has slowed things down, and cut unnecessary activities and people from their lives. I know for sure that the process was not easy, and in fact, there were times that were painful. However, she has done what she needed to do in order to have the time with her child. In doing that, she has been able to learn from her child. Her beautiful boy is detail oriented. He loves science and nature and indie music. Things that this mom can truly be present for. Things that they actually enjoy exploring together. Which has created the space and trust for this child to learn through his mother. He can safely engage with her and learn from her thinking. He has been given the gift of time. She has also found space for herself. This mother is artistic. She has a wonderful eye for beauty and she creates things to share with others. She uses her ability to re-charge herself. She uses her abilities to make others happy. She is a model for her son. Stay calm, find yourself, enjoy your talents, and make others happy. I’ve decided to take my own advice and to follow her example. Even RDI Consultants get stressed out. I splurged on a new camera and I’ve decided to find something beautiful every day. My goal is to mindfully seek beauty. Which will require that I change my mindset for a little while every day. It will give me permission to take time for myself and explore something that I enjoy. I love being outdoors. I feel better when I let my feet touch grass, dirt or sand. I love to look around and find things that interest me outside. If you want to watch my progress, I’ll be posting my work on Instagram and my personal Facebook page. My wish for anyone reading this is that you find your own space and joy. Keep your own identity. Be what you hope your child will be. A happy person. 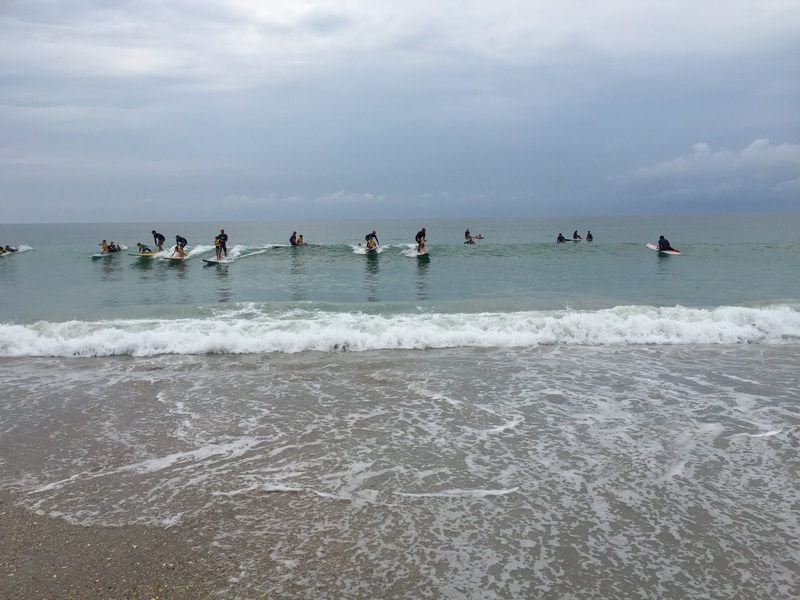 Guest post from Mike, a Pathways dad. I’m driving back to work trying not to let the car go as fast as my mind is at this very moment. I’ve just found out our first child will be a boy, a son. Maybe he’ll be an engineer like me? You know break things, just so he can fix them again. I’d seen boys at the hardware store wanting to help their dad carry something or try to help them pick out the right size PVC pipe. They almost always did more harm than good, but the desire was there to be just like dad. A little over three years later, and I’m driving back to work trying to drive through the tears from my son’s new diagnosis, autism. Father’s day weekend is coming up and I have just found out that my fatherhood is going to be very different than I imagined. From seven months old up until the point of diagnosis we had done many interventions for his speech, sensory, physical and other delays, but nothing specifically targeted to help those with autism. 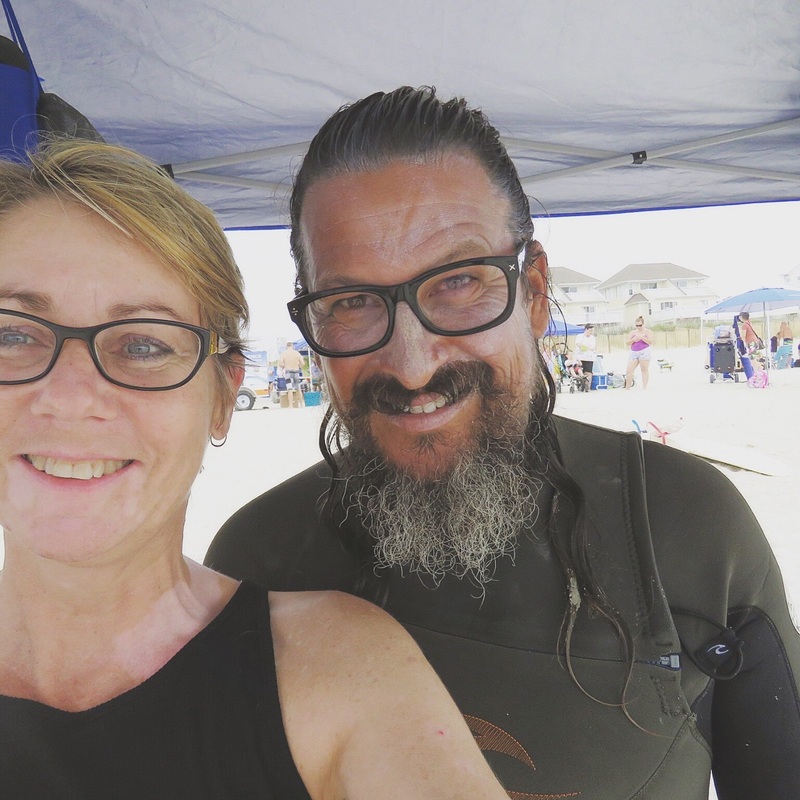 My wife and I spent hours upon hours researching various methodologies for helping kids with autism learn and develop. I couldn’t put my finger on it at the time, but in retrospect what bothered me was many of them were more of what we had already done. Perhaps more intense and granular, but the underlying target was still the acquisition of various skills. My son who I thought would never leave me alone is quite happy to listen to symphonies, and pretend to conduct for hours with or without me present. What therapy targets that? What could help him see the value in me, his dad? To learn what having a relationship with us is? 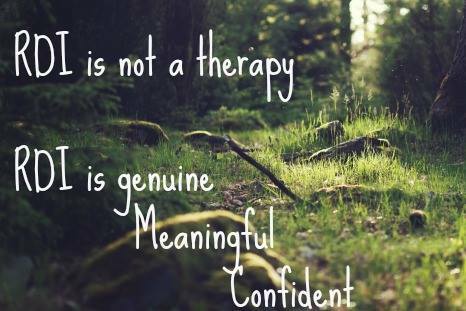 Well fortunately we didn’t have to wait long to stumble across a therapy that was exactly what we were looking for. We discovered RDI through a co-worker of mine and a friend of a friend. So a little over a month after diagnosis, in August of 2013, we found ourselves in Amy’s office. We talked about how Levi had missed out on key developmental milestones that are the foundation for communication, flexible thinking, relationships and ultimately learning through everyday experiences. It made so much sense to me at that point so we dove in. I won’t say it was easy, especially for me. I had to learn to give him more time to process things, talk less and focus more on the connection between us rather than just getting the task done. For an engineer who likes checklists and getting things done this was hard. But, oh it has been so worth it. The first video was taken when we started our RDI program in August of 2013, and the second just last month. In the first video you can see that Levi has zero interest in playing with me. I am doing all the work attempting to initiate any type of connection between us. In the second video you can see he is really enjoying being with me. When we clash lightsabers he is looking at me to see if I am enjoying it as well. You’ll also see that after I go down he notices that I am no longer playing with him. He reinitiates the play by first calling to me, and then getting right down in my face to get me up again. This is just a small glimpse of how RDI has transformed our daily family life. This past weekend we were filling up large gas cans at the station. Once we were done filling I put the first one back in the car, and turn around to find Levi struggling trying to lift the second one just like I had done. Before RDI if he even attempted this he would just get frustrated and quit or had a meltdown. He looked up at me and said, “Daddy, I need help. It’s too heavy for me.” We put it in together, and I smiled while getting back into the car reflecting on how much he has changed in the past two years. Levi still has autism, but moments like this remind me that it doesn’t have him any longer. He still has a lot of challenges ahead, but we have a strong relationship now from which we can tackle them together. It is sometimes hard to describe what RDI is exactly. We have chosen RDI as the “main” intervention for our son and so I often find myself trying to explain it to others. One problem with this is that RDI is very qualitative instead of quantitative. Many other therapies can bring results that are charted and graphed and counted and rewarded. When Ethan was first diagnosed with autism and started the typical early intervention therapies, I fell into this pattern and started keeping a calendar of all the new words he was saying thanks to traditional speech therapy (after losing speech completely at 18 months old). I was giddy every time I was able to write down a new word! I proudly hung the calendar on our refrigerator, took pictures of it and sent it to friends and family members, and carefully and lovingly filed each one as a keepsake as the months went by. This went on through the spring and summer of 2011. Here’s the thing, though. Ethan’s life wasn’t any better with these words I had so carefully counted. Our family life wasn’t any better with these words. When it came time for his 6-month early intervention plan review with our coordinator I realized that though he had made progress, it was not progress that was meaningful or improving our quality of life. Ethan was still withdrawn from us. He could still shock us with his extreme discontent at any moment. He still needed things to be “just so.” He still was not initiating any sort of contact with us. He still could not wait in waiting rooms for longer than 30 seconds without screaming. He still could not ride in a cart through the grocery store unless I took an exact and specific route through the aisles. If I turned around or went a different way, he screamed and screamed. We still could not play with our son unless it revolved around tickling him or singing familiar nursery rhymes. No peekaboo, no hide and seek, no joint attention with toys, no playing with toys at all actually. I wrote in my journal that speech therapy was like chipping away at an iceberg with a toothpick. 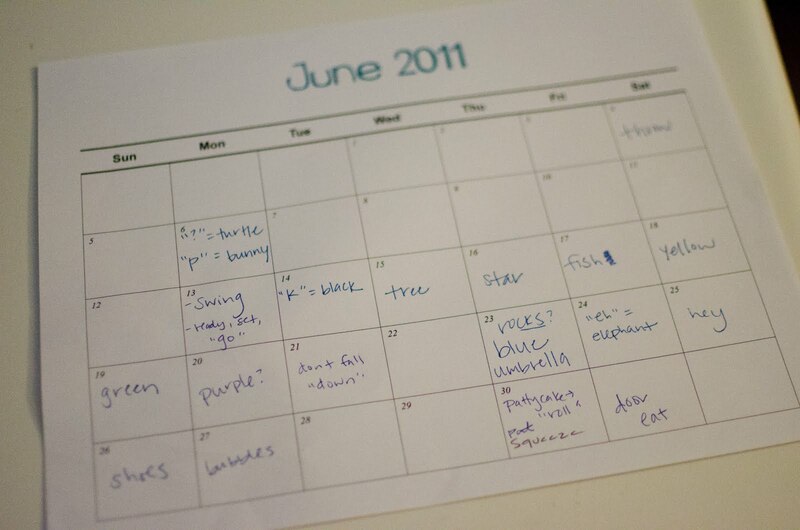 So to summarize the summer of 2011: Well, whoop-dee-doo. He can say “blue” and “star” and “tree”. Now what? Around the time of this realization of mine, a stranger (who is now a dear friend) pointed me toward RDI, and my husband and I ended up in Amy’s office in November of that year. All it took was one discussion with her about static vs. dynamic thinking and I was totally hooked! He was already “good” at things that were repetitive and black/white, right/wrong. So – newsflash – we don’t need to spend hours and hours of therapy on things that are always the same. (Like the word for tree is always tree, the color blue is always called blue). Instead we should focus on things that are more complicated, change often, and require some internal thought process and decision making. These things are the foundation for real relationships. And a real relationship is precisely what I was desperate to have with my son. So we began a regular RDI program in early 2012. Comparable films are taken once a year to serve as an assessment and a chance to observe and reflect. These two videos are a priceless example of what can be gained with RDI. The first was taken in early 2012 when we first began, and the second was taken a year later. There’s one thing to note about the video (besides my weird hair). You will see us playing with the same set of drums in each video. It’s important to know that we didn’t use those drums one single time in the year that passed between the two videos, and at the time it was not a regular practice for us to play with instruments at home. So his progress was not from repetition, practice, or training with the drums. It was a spontaneous and genuine interaction! You can almost literally see the wall between my son and I in the first video. You most certainly can feel it. And in the second video? There is love, connection, and friendship. That shaky video of the eye contact he shares with me as we drum is one of my most prized possessions in this world. If all I ever got from RDI was that moment, it would have still been worth all the effort. But of course, we’ve gained much more than that. And that was only the beginning! Maybe I’ll follow up with our 2014 and 2015 films sometime soon. RDI has proven true to it’s name for us in that we immediately began Developing a Relationship with our son that was missing before. 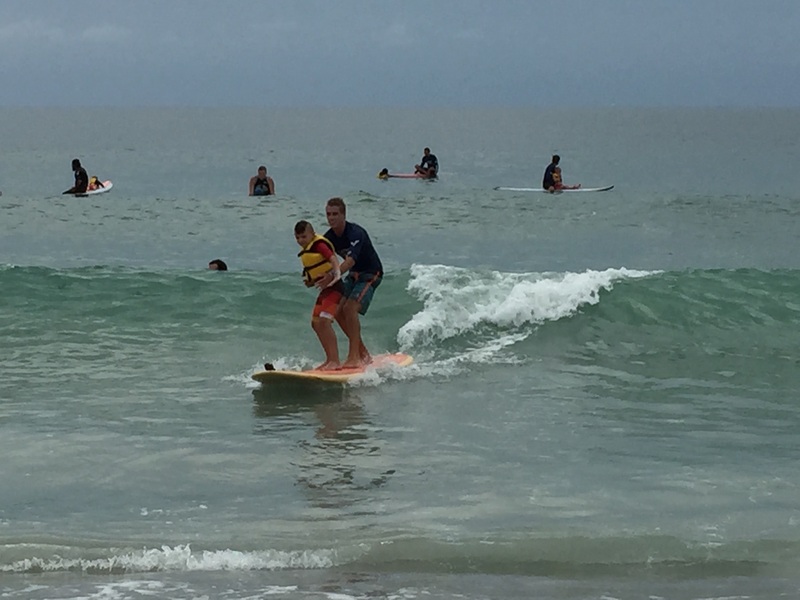 I could write for pages and pages about what this means to us as parents – and RDI is a parent based program with the goal of turning parents into better guides for their children. But Ethan’s own personal gains are just as important. His quality of life has dramatically improved, stress isn’t lurking around every corner, he can internalize a lot of situational analysis, observe and judge situations before reacting, think through the big picture of situations he’s faced with, enjoy the company of others, communicate wants and needs in meaningful ways, and has had many other improvements. The improvements are qualitative and tough to measure or chart, but they have been dramatic and life-changing. Wait a minute. What am I doing? This is a question I try to ask myself multiple times a day. I do it because I have made a decision to not float through my life without intent. I want to be present in my life. I want to actually experience it, the good and even the bad. I want to learn and not repeat mistakes. I want to actually be a part of the good things that happen, really being in it and really feeling the feels. This is a mindset known as mindfulness. Mindfulness is a practice in which you pay attention to yourself. You pay attention to your actions, thoughts and emotions. More importantly, in mindfulness, you pay attention without assigning judgement. You pay attention and accept the current situation, actions and emotions. Mindfulness requires that we do not assign labels like “right” or “wrong”, nor do we focus on rehashing the past or worrying about the future. We are present in the moment. Not on Facebook. Not reliving old pain. Not making grocery lists and to-do’s. It’s about not flying on auto-pilot through the day. 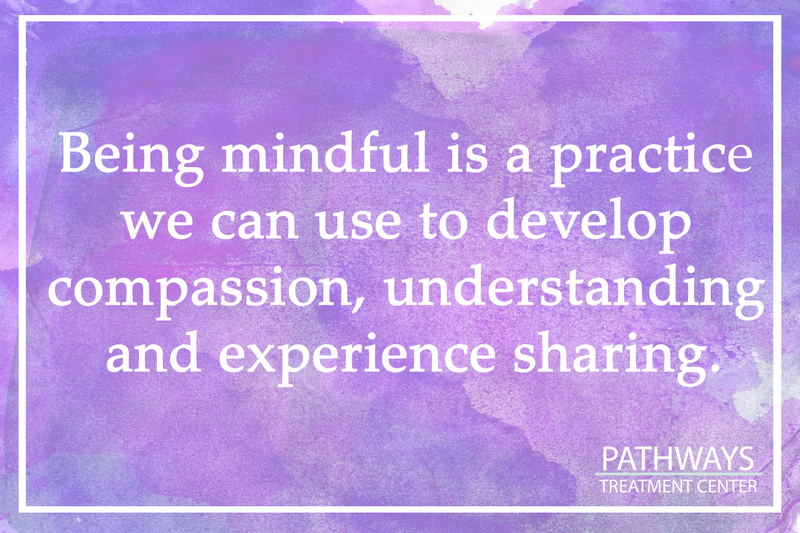 Being mindful has many good benefits. It is good for stress and anxiety. It has the power to boost immunity. It improves memory and attention. It can even help you combat weight issues. But more importantly, mindfulness enhances relationships. And when we are looking to improve our relationship with a person who has autism, it is a practice we can use to develop compassion, understanding and experience sharing. In my RDI practice, I like to talk to parents about establishing presence with their child so that in turn, the child can be guided into being present. Many people with autism struggle with remaining engaged. Multiple factors play into this difficulty, including obstacles with dynamic thinking, rigidity, lack of communicative competency and sensory issues. I am not saying that people with autism cannot learn to become engaged and mindful within relationships. It is often a place that I am asking parents to guide their child. When you are participating with another person, there is an unspoken agreement that both of you will be present in body, attention, thoughts, actions and emotions. That is what a relationship is. It is reciprocity on many levels. So how do we guide someone to be in relationship? My first suggestion is to become mindful with yourself. You cannot guide someone to do something you are not able to do yourself. Learn to observe and be present without judging yourself (“I can’t believe I just did that” “oh my gosh, I am so stupid” “I can’t ever get it right”). Pay attention to what you are doing as you are doing it. Pay attention to what you are thinking and the language you are allowing to speak to yourself. Pay attention to the thoughts you have about others, and try to let go of judgement (“oh, she is prettier than me.” “That guy is an idiot” “They obviously do not care”). If you can become good at it, you will be in a much better, less stressed out place and more available to guide your child. My second suggestion is when interacting with your child, be aware that you have made an unspoken agreement to be with your child. Set aside that million other things, thoughts and feelings you have to be present with that child. That means no cell phone, no grocery list, no multi tasking. Your child deserves your full on attention and patience. 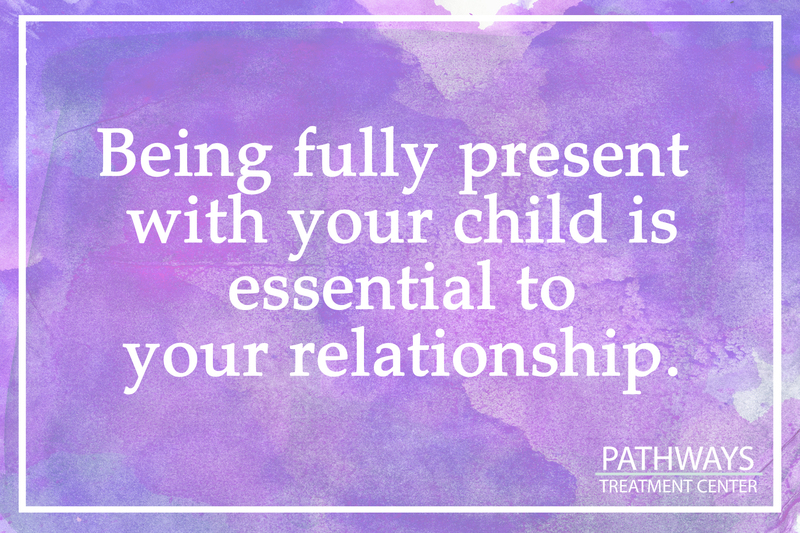 Even if it is for 5 or 10 minutes, being actually present with your child is essential to your relationship. If your child is unable to be present with you yet, your job is to observe. Watch what he is doing, don’t judge it. Quietly observe before imposing any sort of agenda or activity. Breathe, observe and bask in your presence with this wonderful child you have been given. Look at your child’s beauty, his thought process, his actions and his emotions. No rush. Starting here creates the space, attitude and intent of a guiding relationship. It is not a waste of time. I promise. Hello, my name is Amy Cameron, and I am the owner of Pathways Treatment Center in Apex, North Carolina. 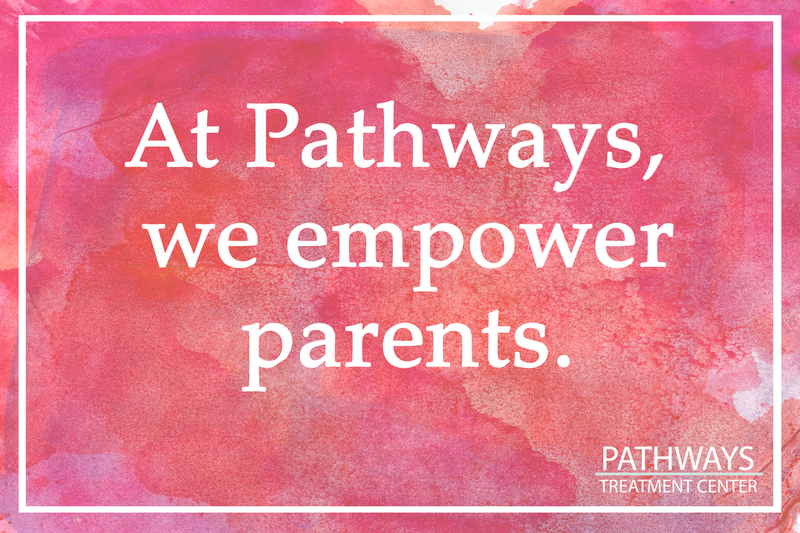 At Pathways, we offer a team approach to helping families of children and adults who are facing challenges like autism, cerebral palsy, ADHD and Learning Disabilities. We offer Relationship Development Intervention, Masgutova Neurosensorimotor Reflex Integration (MNRI), Speech and Language Therapy, Occupational Therapy and Academic Support. Recently, we held an Open House at Pathways and had the opportunity to speak with parents about their family’s needs and what we can offer to help. It was wonderful to have the chance to sit down with parents and hear about what is most important to them when facing a diagnosis and seeking support. It was not a surprise to me to find that parents are smart and know what they are seeking, but frustrated with the challenges presented when faced with conflicting information from the internet and the experts they now deal with. I hear similar stories all the time. 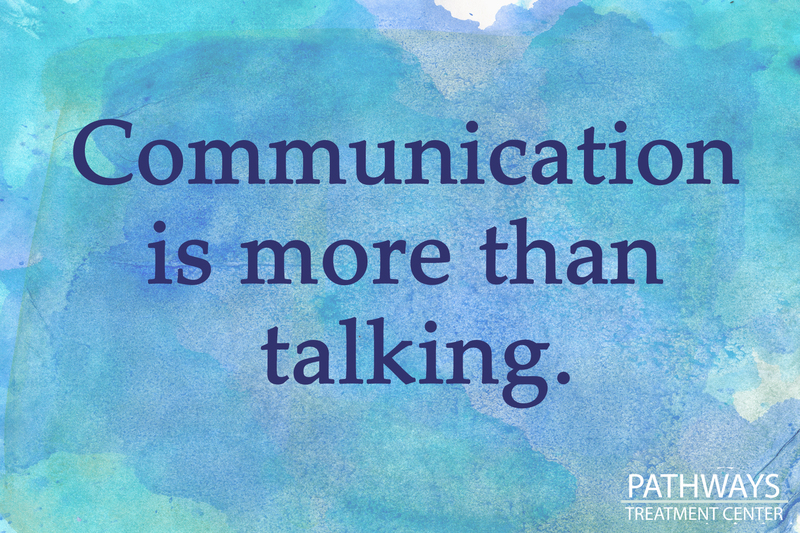 Parents can see their child struggling and eventually their child receives a diagnosis. But after the confirmation of diagnosis, so many parents feel like they are on their own to figure out what to do about it. Schools and early intervention are wonderful resources, but often are unable to address needs beyond their particular setting. The internet has an overwhelming amount of information, much of it conflicting. 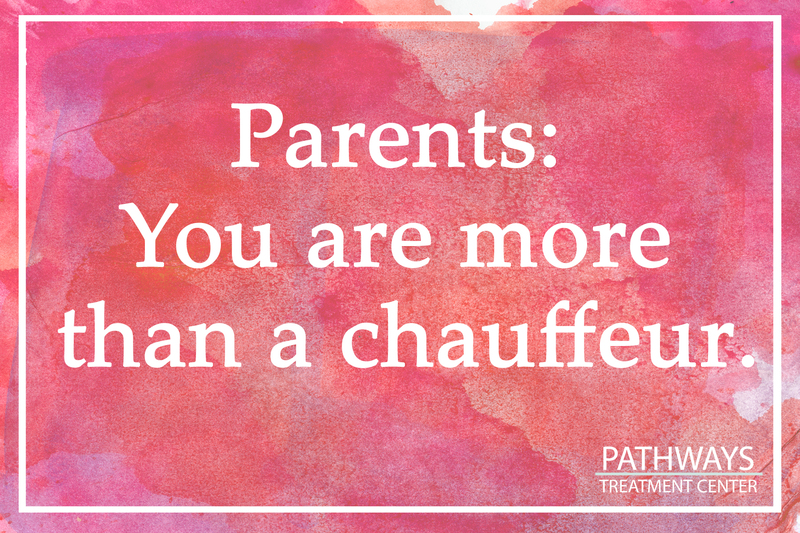 And when seeking therapies, parents often become more like a chauffeur and not a true part of helping their child to develop the abilities they are lacking. I have seen the same scenario again and again. I started Pathways in 2004. My thought at that time was to actually listen to what parents were saying, to learn what they know about their child, and integrate that with my own growing knowledge of the best therapeutic options. At that time, I felt a little hidden in my own corner of the world, lucky enough to have some parents who believed in teaming with me. And what we found was exciting. Through our mutual respect and collaboration, we made actual progress with those children. 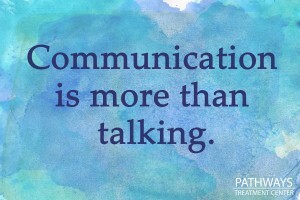 So much progress that I started to hear from other therapists in the area asking about what was happening at Pathways. I remember one therapist saying that she always knew when a family was working through Pathways because the children connecting, communicating and possibly more importantly, the parents were educated and empowered. And so like the Field of Dreams movie, incredibly talented therapists began migrating into Pathways wanting to truly collaborate with families, problem-solve and make real life differences in the lives of the families they work with. One of those therapists, my dear friend Anat, came all the way from Israel! Families began working with us from as far away as Vietnam and Singapore. Now, through the magic of Skype, we connect and collaborate with families from across the United States and the world. Fast forward to today, and I feel as though I have assembled the most amazing team of therapists and teacher who all believe in collaboration and placing the parents at the center of the team focused on helping that child and meeting that child’s individual needs and challenges. The Pathways team I have assembled all have a heart for what they do. A passion for children who have special needs and desire to achieve the best possible quality of life for every individual we serve. So at Pathways, our waiting room is rarely used. Our parents are a part of nearly every session. Our parents play a crucial role in developing a plan for their own child and then learning how to approach those goals in a developmentally appropriate method using strategies and techniques taught to them by our therapists and teacher. Parents are the best, most natural guides for their child’s development. And I am not saying that our therapists are old, but we all come with at least 10 years of experience and training in our fields. I am so very proud of the Pathways families and therapy teams. I feel that even through our children face challenges, that they are some of the luckiest in the world to have such amazing parents and teams surrounding them and supporting their development. In the coming weeks, our newsletter will be placing a spotlight on each of our therapists so that you have the opportunity to understand the commitment, training and experience each of us has to offer. I believe once you know the dedication and passion our team members put into their work, you will want to become a part of our Pathways family. We are a wonderful community and hope that you will allow us the chance to collaborate with you and make real progress together. The Marshmallow Test has been around the field of psychology for many years. Basically, they offer a young child a marshmallow, tell them they can eat it now, but if they wait for a little while, they will receive two marshmallows. The difficulty of delaying the marshmallow eating is clear on the faces of the children. Some of them are able to wait, and some of them are not. Some of them cheat a little. The ones who were able to delay gratification had better long term life outcomes. They had lower BMIs and better SAT scores. But secretly, I’ve always been more intrigued by those who “failed” the marshmallow test. The ones who lived in the moment and just did it. 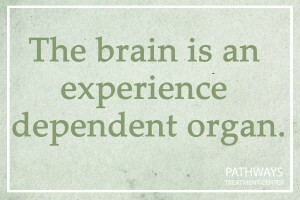 Maybe this is why I am a therapist who works on decision making, impulsivity and inhibition. In my years of working with families impacted by disabilities that have self-control issues, I’ve seen the real life struggles that lack of inhibition, impulsivity and inability to delay gratification creates. The lack of forethought, the constant getting in trouble, the misunderstanding of impact on others, the emotional dysregulation makes life difficult for not only the child, but those around the child. The frustration and the fear of these families is very real with good reason. Depression, substance abuse, poor school performance and a much higher incarceration rate to name a few. 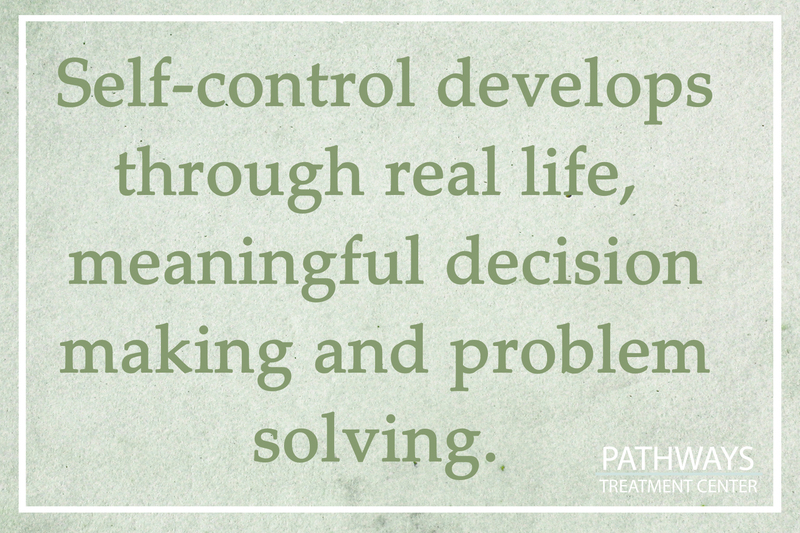 The point of therapy addressing self-control is to help that person gain the abilities needed for self-control. The research behind teaching the cognitive abilities needed for self-control is good. Dr. Walter Mischel, (2014) the originator of the Marshmallow Test recently wrote a book saying that self-control comes naturally to some, and the others can learn it. However, the motivation to learn those skills and apply them in situations is really a huge factor in self-control. How do we teach children to trust that a second marshmallow will appear? That waiting for the second marshmallow will make mommy proud? And what about those children who lick, pinch, smoosh and nibble on the first marshmallow? Do they still get the second one? The abilities I am questioning are dynamic abilities. From a thinking standpoint, the child has to have enough trust, forethought, problem solving and understanding of how other’s may perceive the situation to be able to apply the specific skills that we teach for self-control. In normal development, those abilities come into play around age 4. That does not mean they cannot be developed at a later age. These abilities develop through real life, meaningful decision making and problem solving. At Pathways, we teach parents how to guide their child’s development and maximize opportunities for decision making and problem solving using the Relationship Development Intervention (RDI) program. We work as a team with parents to develop those dynamic cognitive abilities necessary for self-control. Beyond the cognitive abilities necessary for self-control, there are underlying emotional and automatic impulses that are closely tied in with our ability to control ourselves. Most of us “jump” when we hear a loud noise, or “freeze” when caught by surprise. These reactions are not things that we consider doing, they are just hard wired to happen. But for some people, those sort of fight and flight reactions happen all the time. Sometimes they do not happen enough. When this is the case, the information being carried from the central nervous system to the brain stem is not reliable. 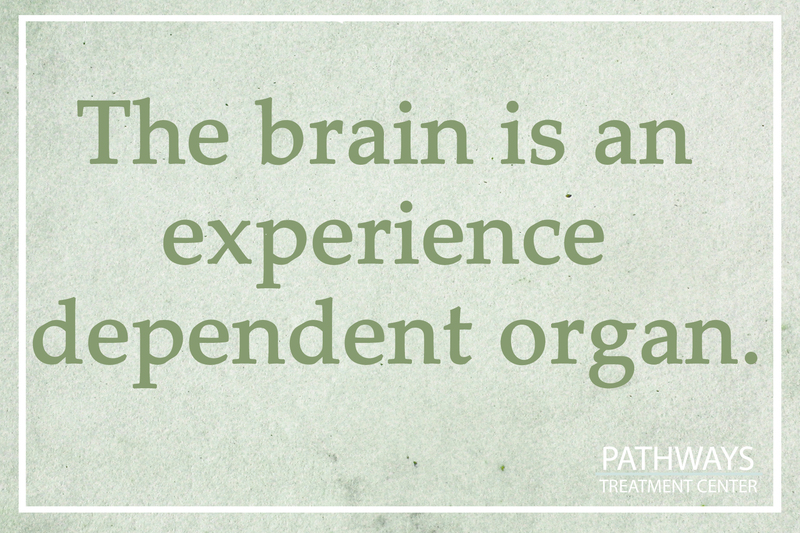 The brain stem is instinctively telling the body to avoid or seek more information. Which translates into a frightened looking child hiding and hoarding a marshmallow or a “naughty” child pushing, grabbing, and gobbling down marshmallows. Activation, stimulation and integration of proper information input from the central nervous system to the brain stem is possible. Dr. Svetlana Masgutova’s (2010) work focusses on organization and integration of the brainstem. Her program is called Masgutova NeuroSensoriMotor Reflex Integration (MNRI). 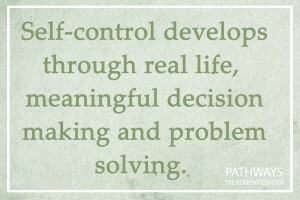 At Pathways we work using MNRI to change the input into the central nervous system to lay the important groundwork for self-control. Our team always begins with the parents. Our highly trained professionals have years of experience to add to finding the best possible therapies to fit the needs of our families. Masgutova, S. (2010). Integration of Infant Dynamic and Postural Reflex Patterns MNRI Neurosensorimotor Reflex Integration for Children and Adults, Warsaw, Poland: Dr. Svelana Masgutova Institute. Mischel, W. (2014), The Marshmallow Test: Mastering Self-Control, New York, NY: Little, Brown and Company. Dr. Vicky Roy and I presented at the international conference for Division of Autism and Developmental Disabilities this week in Florida. Click here to view our presentation slides.